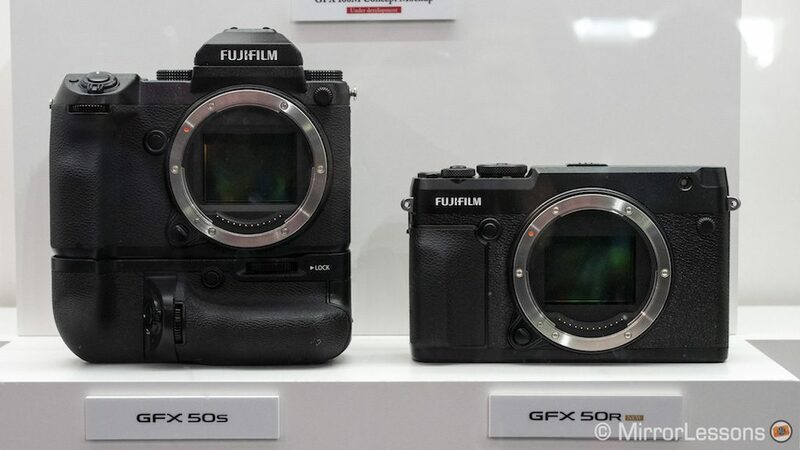 The Fujifilm GFX system was announced two years ago, along with the GFX 50S mirrorless medium format camera and a roadmap of six GF lenses that has since been expanded to ten. We had the chance to review and compare the 50S to the Sony A7r III and we were impressed by the quality of the sensor and lenses. 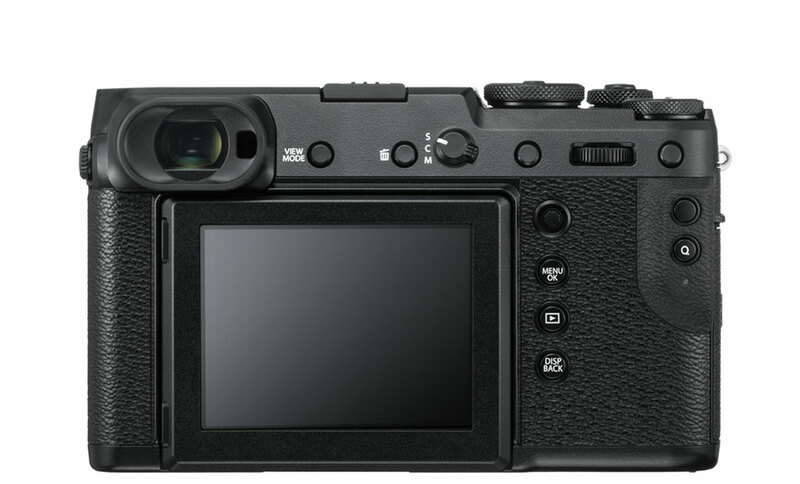 The body is large for obvious reasons but doesn’t detract from the user-friendly interface that has characterised Fujifilm cameras since the original X100. 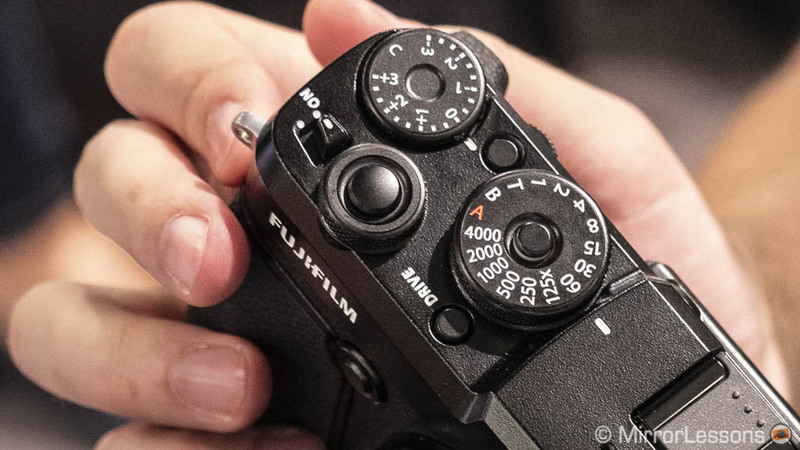 Fujifilm’s choice to skip the 35mm format and go medium format was an interesting move, and something quite unexpected as well. 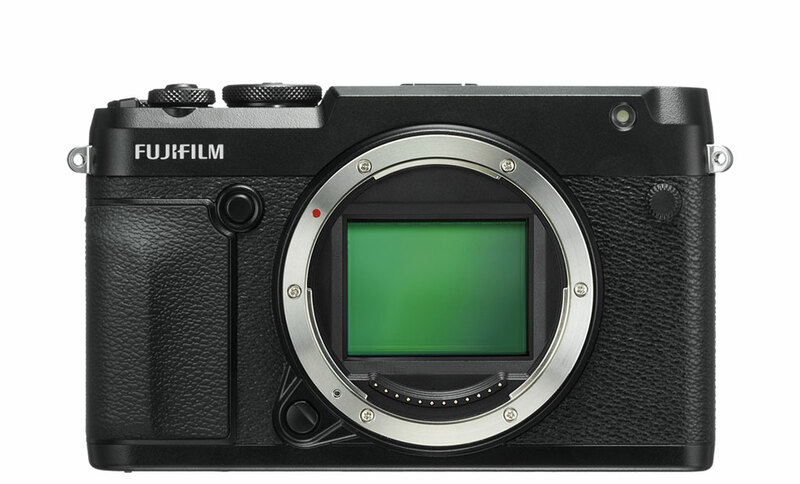 The only drawback of the GFX series is that it is much more expensive than the X-Series which has been Fujifilm’s primary focus for the past six years. The GFX 50R aims to shrink that gap in price, and while both the 50S and 50R still feel expensive for someone on a restricted budget, they aren’t a whole lot more expensive than some high-end full-frame cameras. Ethics statement: the following is based on official specifications, our brief hands-on with the 50R at Photokina and our long term review of the 50S camera. We were not asked to write anything about these products, nor were we provided any other compensation of any kind. Within the article, there are affiliate links. If you buy something after clicking one of these links, we will receive a small commission. To know more about our ethics, you can visit our full disclosure page. Thank you! The GFX 50R has been designed to be more portable than the 50S. It is noticeably thinner (2.5cm less) but wider by 1.3cm. The 50S is taller if you include the removable viewfinder. 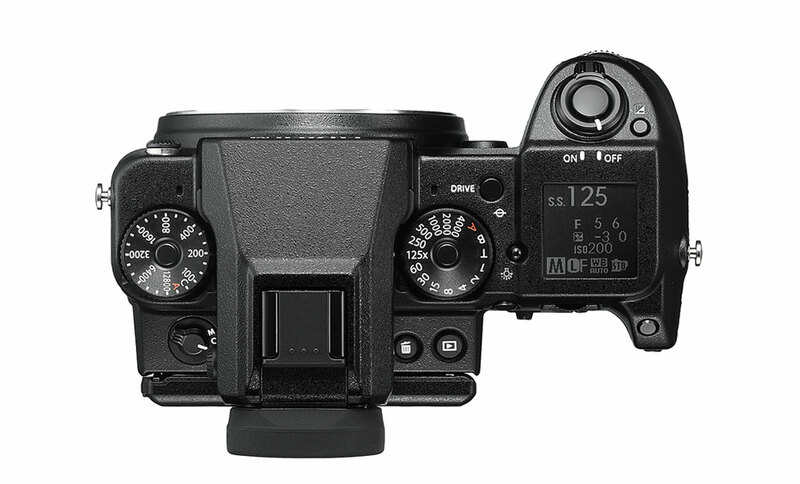 The new medium format camera is lighter by 145g. The 50R has a noticeably smaller grip so the ergonomics won’t be as comfortable as the 50S with large GF lenses. 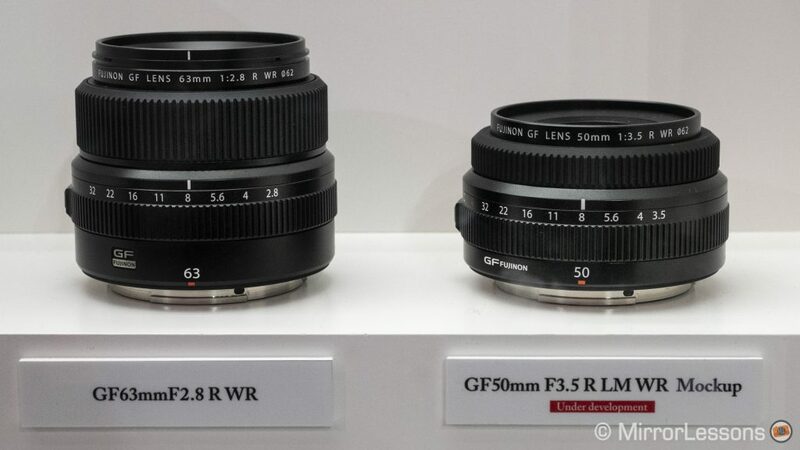 Fujifilm has designed a new 50mm f/3.5 lens which is the ideal companion for the “R” model thanks to its compact dimensions. One of the biggest differences between the two cameras is the viewfinder. First we have the position. 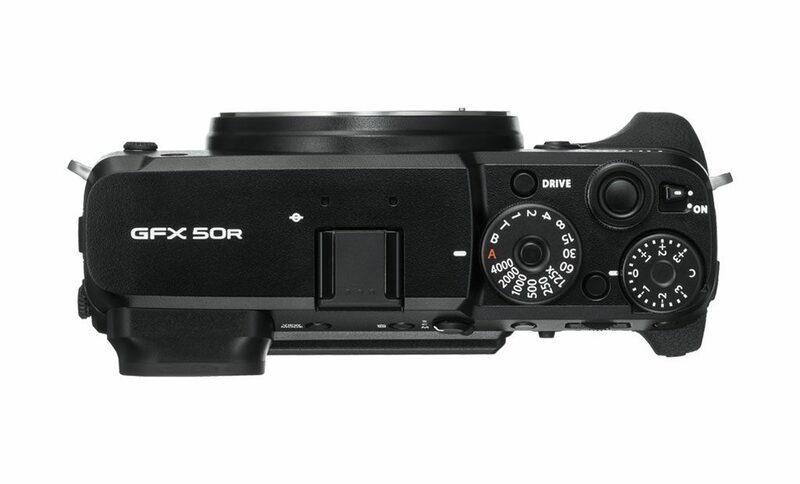 On the 50R it is found on the left side of the camera (rangefinder style), whereas on the 50S it is located at the centre (SLR design). 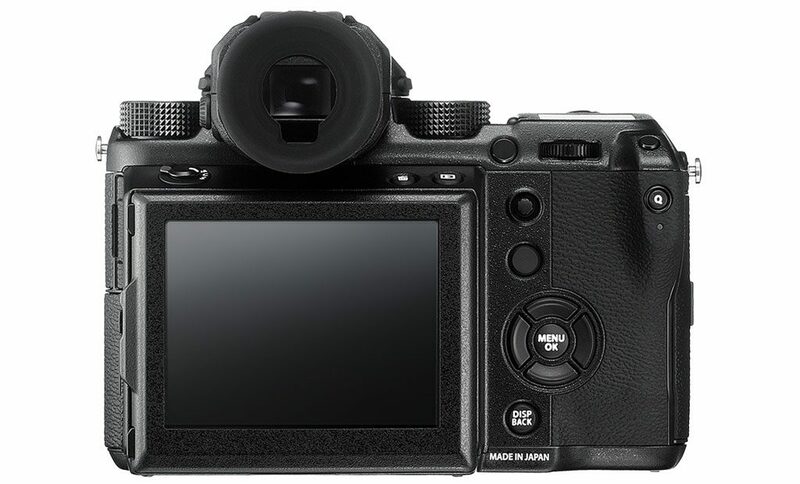 Furthermore, the EVF on the 50S can be removed, or oriented at different angles with the optional EVF-TL1 tilt adapter. 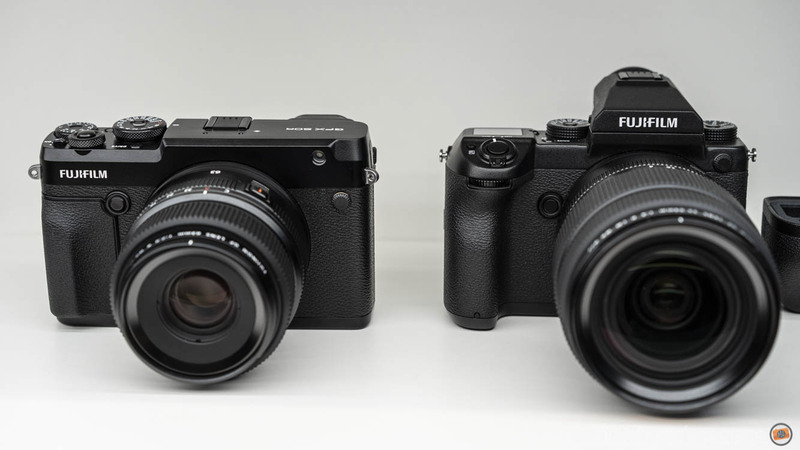 Concerning the specifications, both cameras have a high resolution EVF with 3.69 million dots, but that of the 50S has a higher magnification of 0.85x (vs 0.77x on the 50R). The eyepoint remains the same (23mm). In our brief hands-on, we enjoyed using the EVF of the 50R. Despite the lower magnification, it remains large and crisp enough thanks to the high resolution. The more compact design of the GFX 50R has resulted in some changes to the button and dial layout. On top, you’ll notice that the “R” model is missing a dedicated ISO dial but gains an exposure compensation dial (just like the X-E APS-C series). 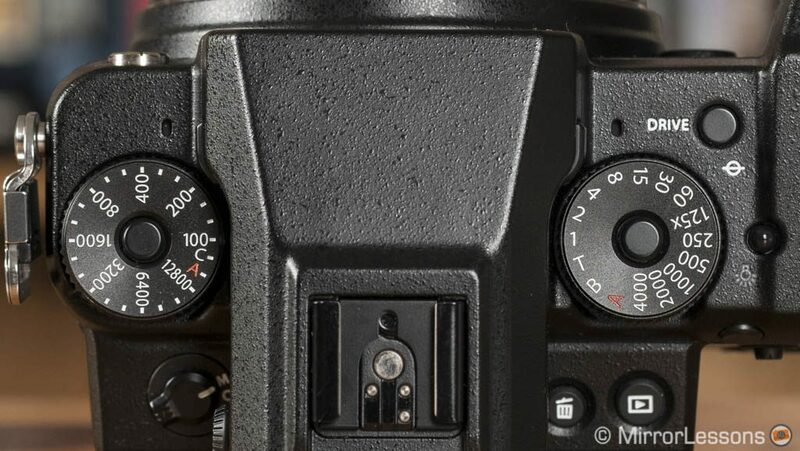 The front command dial on the 50R is found on top around the shutter release button rather than on the front grip like the 50S. On the rear, the 50R doesn’t feature a 4-way D-pad. This means it relies solely on the AF Joystick to navigate through the menu and move the focus point, just like the X-E3. The focus mode selector has been moved to the rear in a position that is quite comfortable to reach. 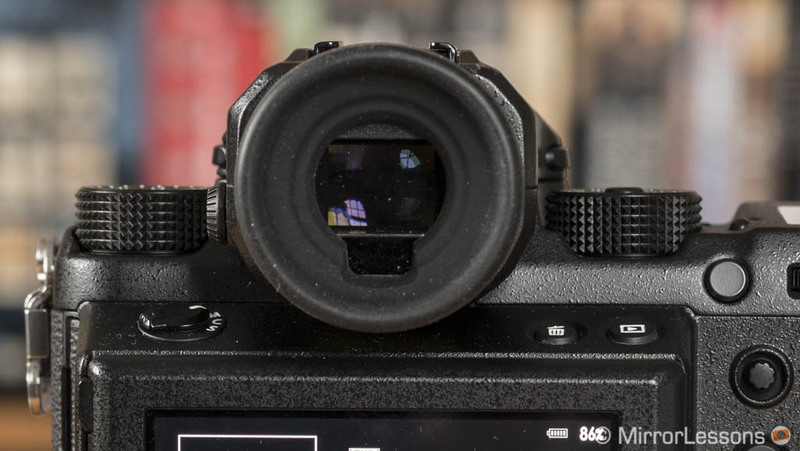 The rear monitor on the GFX 50S can be tilted in three ways just like the X-T2, X-T3 and X-H1 cameras. In addition to the traditional up and down movements, you can tilt it to the right by approximately 60°. On the R model, the mechanism only works on 2 axes (up and down). 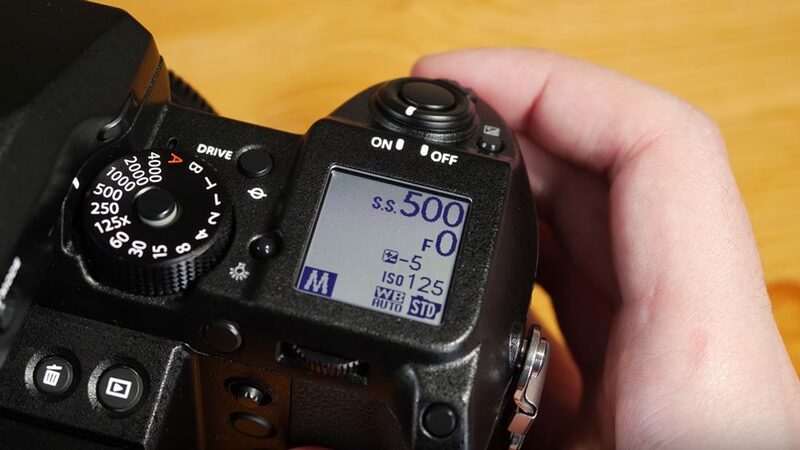 The GFX 50R has an additional option: you can call up four different functions by flicking left, right, up or down on the screen, which substitutes the lack of the D-pad mentioned in the third point. We find the touch screen very reactive especially with the four flick gestures. On the 50S, you can flick up and down to activate the RGB histogram or highlight alert function. The GFX 50S has a small OLED screen on top that displays various settings. The type of data shown can be customised and it varies depending on if you are in stills or movie mode. Contrast can also be inverted (light or dark background). The 50R doesn’t have a top LCD screen. Both cameras support WiFi connectivity including the possibility to transfer JPG images or control the camera remotely. 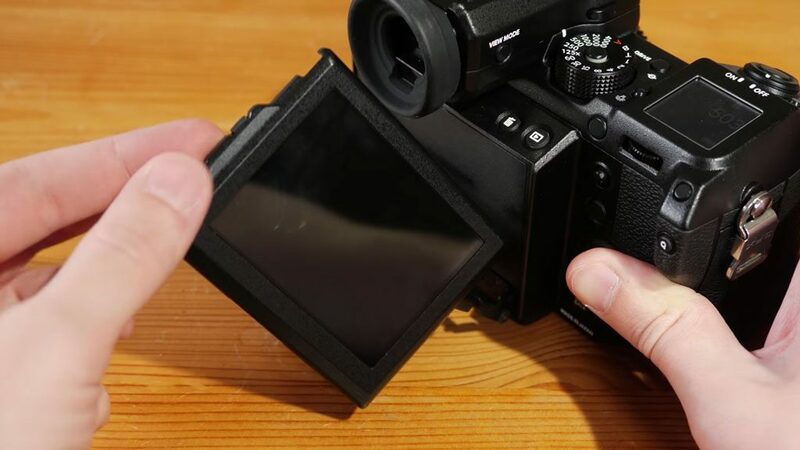 Only the 50R has Bluetooth however, which allows you to maintain a constant low energy connection once the camera is paired with a smartphone. The 50R features USB Type C and HDMI Type D connectors, as well as a 2.5mm remote input. It lacks 3.5mm audio in and out which is available on the GFX 50S. Audio can still be recorded externally on the 50R via the 2.5mm input. 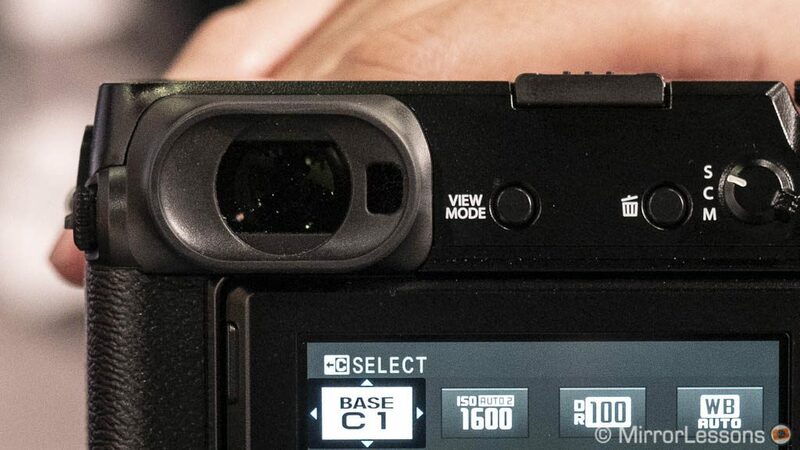 Both cameras feature a flash sync port. The GFX 50S can be used with an optional battery grip (VG-GFX1) to double the battery life of the camera. No vertical grip has been developed for the 50R. 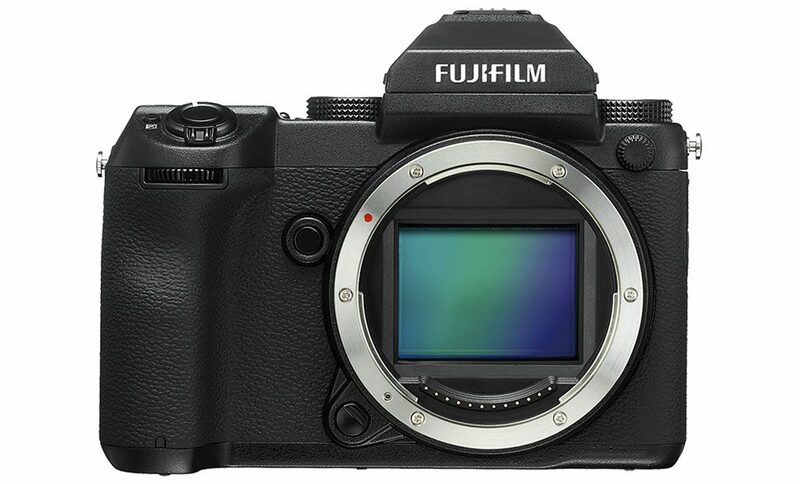 The difference in price is significant, making the GFX 50R a very attractive proposition considering the large sensor inside. It launched with a suggested retail price of $4500 / £4000 / €4575. The GFX 50S can currently be found for around $6000 / £6000 / €7000. We like competition but also diversification, and the GFX 50R is a good example of this. Plus it retains the thing we like best about the GFX 50S, which is the sensor and image quality output. 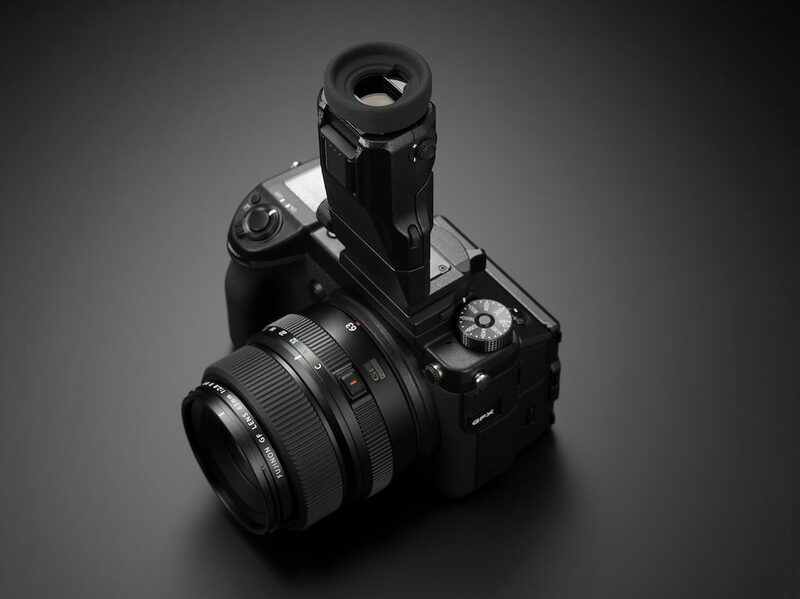 Certainly the “S” model remains a more complete package for those who want to embrace medium format for their daily workflow, with features like the larger grip and optional battery pack which provide more comfort when using big GF lenses such as the 110mm f/2 or the 250mm f/4. But we can see the GFX 50R becoming a success, especially later on when the price starts to come down, just as it did with the GFX 50s.